I had some interesting responses to the post I wrote a few days ago dealing with memorisation (which you can read here). It was suggested that I should also focus on what happens when memory fails – i.e. a memory slip! So here are my thoughts on this incredibly stressful event in any pianists life. Memory slips happen to virtually everybody at some point and they can be difficult to ‘get over’ because lots of courage is needed to get back on stage and try again. However, this is a must if a pianist is to overcome the problem. 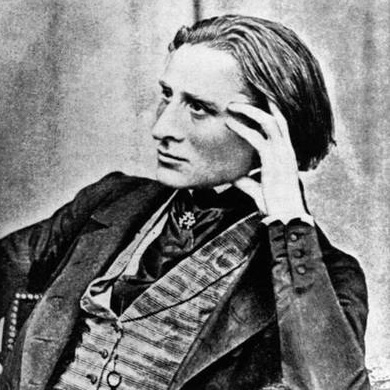 Whilst Liszt and Clara Schumann both loved to play from memory (and indeed invented the concept), it does put so much extra pressure on public performance. A pianist needs to develop a different kind of mind set entirely in order to perform large concert programmes without the score effectively. If I know I am going play a piece from memory before learning begins, I approach it in a different way from the outset thus making a conscious effort to memorize every bar, nuance and phrase as I’m going along. A lot of memorisation takes place in the early learning stages as you become more familiar with the piece. One problem with memorising digitally i.e. fingerings, note patterns, shapes on the keyboard and how the work ‘feels’ under the fingers (although this type of memory is normal and should be cultivated), is that it makes forgetting very easy. Reliable memorisation really comes from thinking about the music and analyzing it. If you can spend time working through the piece away from the piano looking at the structure and form, then this will be a great help when playing without the score. It was also aid your interpretation skills too. Even after methodical analysis and careful preparation, it is still possible to get into a muddle on stage. Nerves often undermine practice and preparation so what do you do when a memory slip occurs? Whatever happens, don’t stop playing! Some pianists have the ability to extemporize or improvise when they lose where they are in the score until the ‘find themselves’; apparently Vladimir Horowitz, amongest others, was blessed with this ability and used it from time to time. I can’t improvise at all sadly, so I make sure that I know the piece in sections and am able to ‘jump’ quite cleanly (hopefully!) into another section or passage of the work. I find it’s not helpful to ‘go back’ and play the elusive passage again as this just encouarges another slip and can make you more and more frustrated and upset too. Once it has gone from your mind it doesn’t seem to reappear miraculously a few minutes later so it is best to move on and finish the piece in a convincing way. I find it helpful to try to completely eradicate the slip from my head otherwise I am constantly thinking about it for the entire recital. I hope this is helpful to those working on their memory skills. Everybody finds their own way of remembering ultimately and the main factor in successful memorisation is to do it regularly in front of an audience thus building confidence. Good luck.